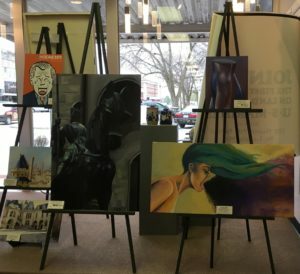 Local art gallery Gallery 104: Art on the Square highlights the Truman State University Art Department as their featured artist for the month of April. 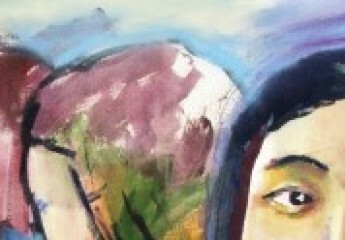 The Art Department has had exhibition space in Gallery 104 since their opening last summer. 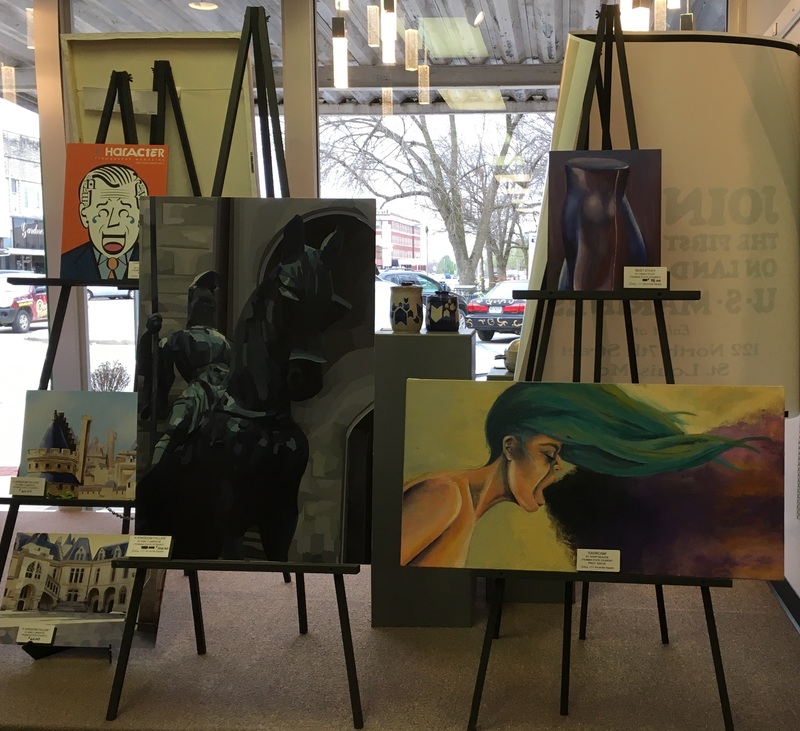 Student artwork is on sale, and this month you can window shop for Truman artwork in the front window as well. 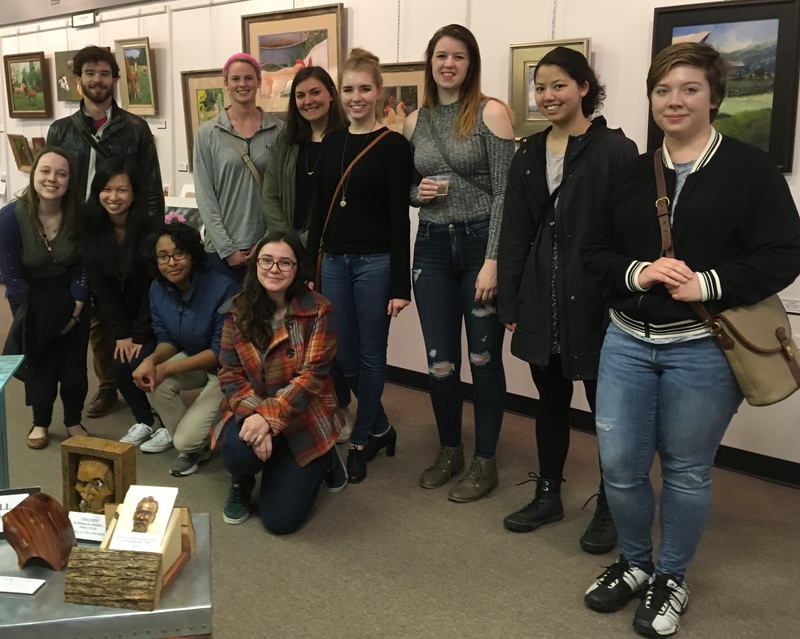 On March 31st, there was a reception for the exhibitors and students who attended are shown below: (from left to right, back row) Daniel Degenhardt, Hannah Nicks, Emily LaMarche, Lindsey Picht, Jenny Reagan, Audrey Kastner, Greta Dellinger, (from left to right, front row) Karlynn Naylor, Claire Nipper, Olivia Brady, and Maddie Pearson. 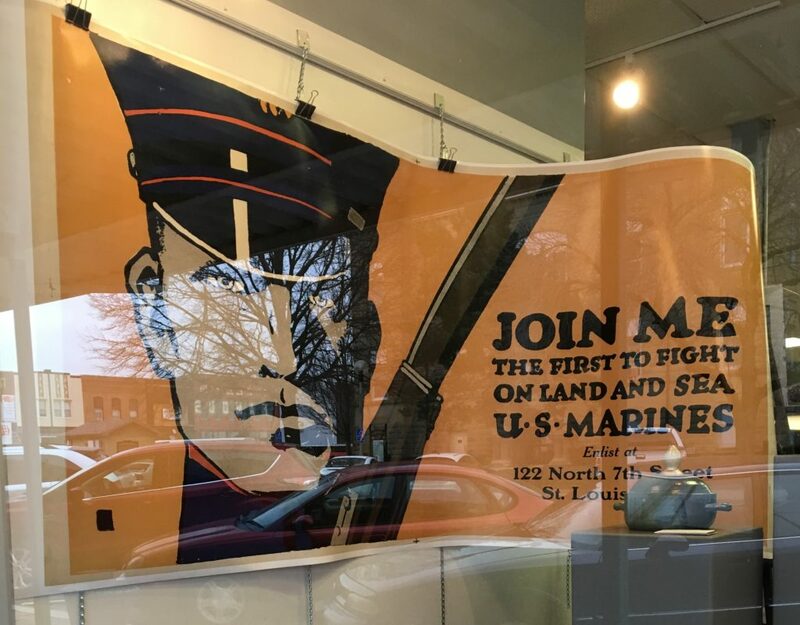 A poster from the “Join, Save, Buy” exhibit in the University Gallery this past February hangs in the Gallery 104 window on the Kirksville Square. 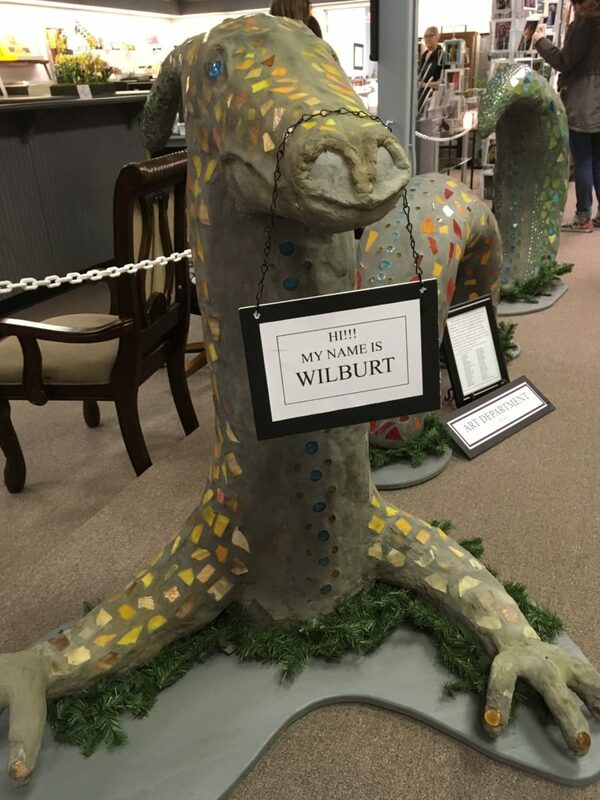 The sea serpent that spent last summer on the Quad has found a comfortable home in the gallery (his name is Wilburt, if you hadn’t heard! ).